The Canadian Supreme Court has unanimously ruled that hate speech laws are a "constitutionally valid" limit on freedom of expression. The precedent-setting ruling resulted from the case of an anti-gay preacher who distributed homophobic fliers in Saskatchewan. 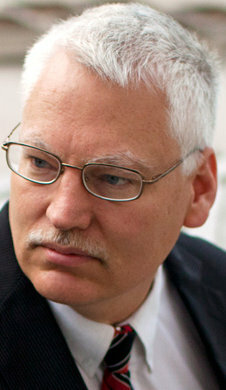 Pastor Bill Whatcott (below) had won an earlier appeal of his conviction in the provincial court. The Saskatchewan law, which is similar to others in Alberta, BC, the Northwest Territories and federally, “appropriately balances the fundamental values underlying freedom of expression with competing Charter rights and other values essential to a free and democratic society, in this case a commitment to equality and respect for group identity and the inherent dignity owed to all human beings,” wrote Mr. Justice Marshall Rothstein for the court. “Framing speech as arising in a moral context or within a public policy debate does not cleanse it of its harmful effect,” the judges decided. In their ruling, the Supreme Court issued three guidelines for lower courts to consider in hate speech cases. First, these laws must be applied objectively, which is difficult in the case of subjective emotion, though not impossible, the judges ruled. Second, hate must be understood to be the extreme manifestations of the emotion described by the words “detestation” and “vilification,” but nothing less. “This filters out expression which, while repugnant and offensive, does not incite the level of abhorrence, delegitimization and rejection that risks causing discrimination or other harmful effects,” they wrote. Third, tribunals must focus their analysis on the effect of the expression at issue, namely whether it is likely to expose the targeted person or group to hatred by others. Whatcott's fliers claimed that a local Saskatchewan gay publication was publishing ads from pedophiles. Four citizens then filed complaints. Whatcott has long been a martyr to American evangelicals who frequently cite his case as an example of homofascism. Expect many more of those claims in the coming days. UPDATE: Longtime JMG reader Tone was one of the four complainants in the original case against Whatcott. Feel free to congratulate him for sticking with the case all these years.